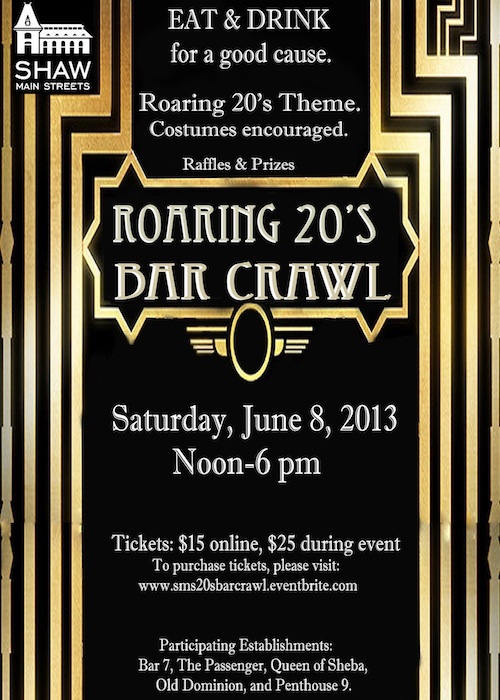 Eat and drink for a good cause at the Shaw Main Streets Roaring 20's Bar Crawl! Costumes are encouraged, there will be raffles/giveaways at each location, and participating bars include Bar 7, The Passenger, Old Dominion Brewhouse, Penthouse 9, and Queen of Sheba. 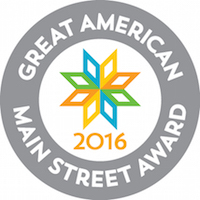 To purchase tickets and for more information, visiti the eventbrite page.